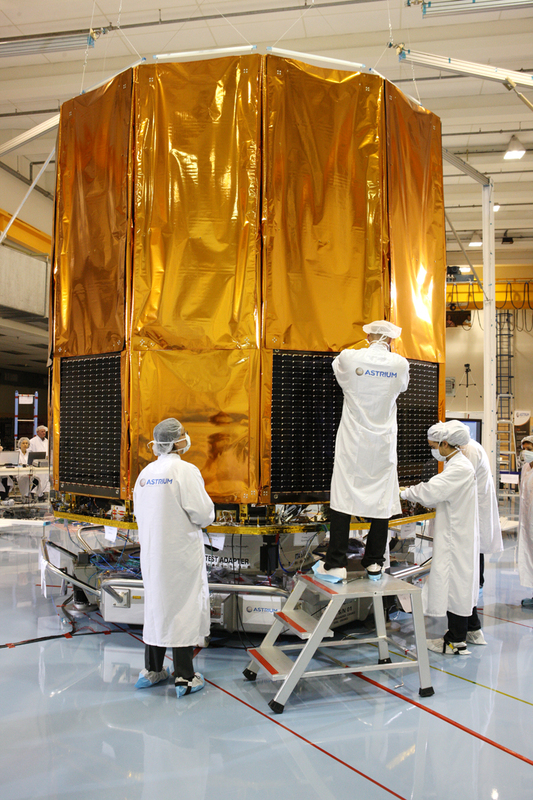 Gaia Deployable Sunshield Assembly (DSA) in its stowed configuration at Astrium Toulouse. Eight of the 12 sunshield panels will be equipped with solar arrays, which will provide power to the spacecraft. The flight units of three of these arrays are visible in this image.